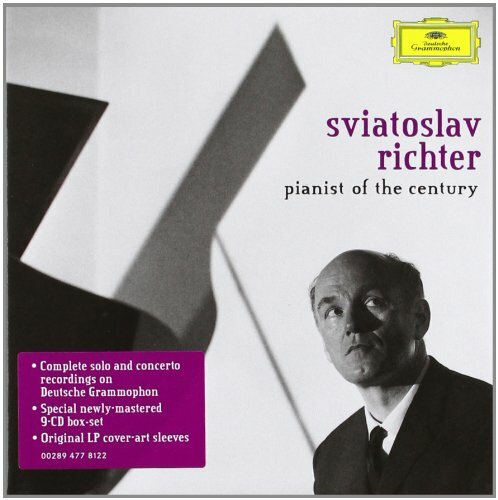 In the last few years I have purchased a number of box sets of recordings made by virtuoso pianist, Sviatoslav Richter, considered by many to be the greatest pianist of time so far. I’ve recently catalogued these sets and performed an analysis to see how much duplication exists across these sets. Decca 478-6778, 51 CDs with Richter’s complete Decca, Philips and DG output. Sony 88430-14702, 18 CDs with his complete RCA and Columbia output. EMI 2-17411-2, 14 CDs with his complete EMI output. are completely redundant. As you might expect, the Decca box, which claims to include his complete DG output, also includes the entire contents of this previously issued box set. So, the best idea is to begin with the three boxes listed above, and then use the Google spreadsheet to avoid further duplicate purchases. I may update this entry when I have time to analyse other Richter issues. Your input or contributions are appreciated in the comment section. Lastly here is a summary chart of the Richter output on these 3 sets: RichterRecordings There are 395 unique recordings spanning the years 1956 to 1992. The Sony set (RCA, Columbia output) was recorded in only three different years during this span with many multiple recordings of some pieces, while the Decca box features the widest time span and range of repertoire.